A Round-Up is perhaps the simplest and easiest way in which restaurants, as well as local and online retailers, can support Citymeals on Wheels. 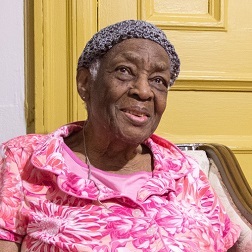 By encouraging customers to make a charitable donation by “rounding up” their total to the nearest dollar, Citymeals partners have raised significant funds for New York’s homebound elderly. In some cases, our partners may instead choose to donate a portion of the proceeds from specific items sold or the revenue raised during a specific period of time. Partners who support Citymeals are given proper language, logos and graphics for their needs. Citymeals may also feature the partner or charitable promotion on our website or social media platforms depending on timing and availability. Citymeals is grateful to our longtime partners Citarella, The Riese Organization, D’Agostino Supermarkets, and many others who host round-up programs for Citymeals each year. 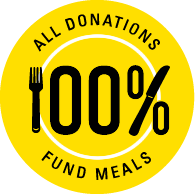 During February and March, visit a participating Riese Organization restaurant and make a gift to Citymeals. Complete our partnership form to learn more about Round-Up opportunities.